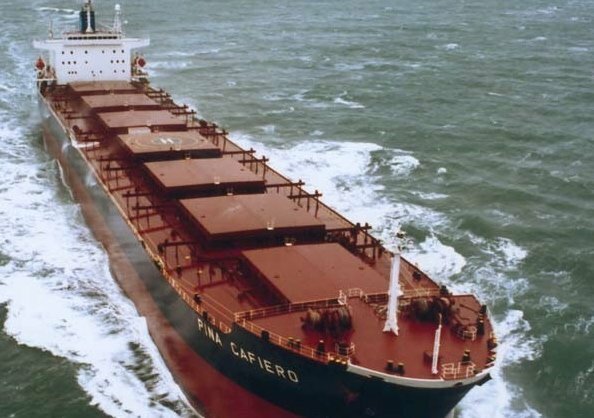 The 2002-built panamax bulk carrier Pina Cafiero is being sold by Italy’s Augustea Group to Chinese investors according to several broker reports. The deal has been confirmed to Splash by Raffaele Zagari, head of Augustea. “The vessel was on the for sale list since it turned 15 years old and the price offered was considered acceptable. We also consider that the an upturn for rates in dry bulk shipping will take place in the near future but we are not sure older vessels will gain the same advantages as the modern units proportionally,” Zagari said. The Italian shipowner also confirmed that the price is close to $9m but did not disclose the name of the Chinese buyers which may be Shanghai Shipping according to other sources.